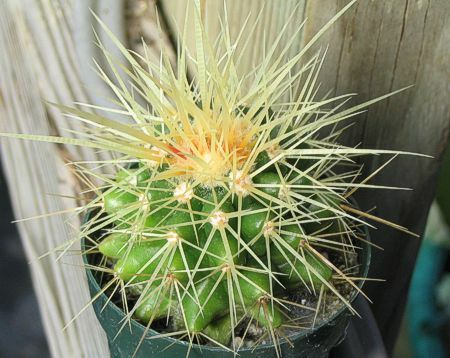 Comments: A common landscaping cactus with brilliantly colored golden yellow spines. Yellow blooms are produced on mature plants only (> 1 foot diameter). Our plant was purchased from Living Desert SP, Carlsbad, NM.